Mehran Hotel Karachi is centrally situated on Shara e Faisal Karachi. Hotel offers complete conference facilities in its conference halls and restaurants. 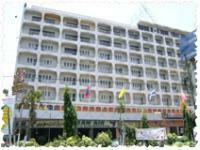 Karachi Mehran Hotel in Karachi, offers above rates only to Hunza tours. The online reservation payment must be made to Hunza tours not the hotel. Book your events, Meetings, Conferences Marriage parties at Karachi Mehran Hotel or any other hotel in Karachi please feel free to email us we will offer you the best possible rates and perfect arrangements to suit your events. Ideally located in the heart of Karachi, Hotel Mehran provides its guests an uncompromising level of services - personal yet efficient and swift. The guests are offered a unique combination of traditional and most up to date facilities in room and suites take you away into the glory of bygone era's and allow you to indulge in their beauty and opulence with exclusive interiors, featuring en suite bathrooms, satellite television and telephone facilities. This elegant hotel offers a very relaxed atmosphere and charm, twenty minutes drive from the airport and close to city's central business and industrial districts and conveniently close to the finest shopping area. Hotel Mehran Karachi in a foreseeable future. Hayat Services (Pvt) Ltd was established under the leadership of Mr. Abdul Rahim Baloch. In a period of some three decades he through his dedication, commitment, forward-looking approach, and highest standards of quality and integrity. Starting with Hospitality Business, Hayat Services (Pvt) Ltd's Hotel Mehran equipped with the most modern amenities, Continual up-gradation and modernization. Mr. Rahim's Vision knows no bounds and it will be difficult to predict as to what will be his focus of attention tomorrow. For him time is short and the Art is long. Therefore, his philosophy is that each moment of life should go towards advancement of cause of humanity at large. Mr. Rahim is also engaged in philanthropic projects in support of social and cultural causes and for the uplift of the deprived. Through this cause he not only fulfils his corporate responsibilities but also more importantly his unwavering commitment to promoting the good of common man. Pakistan's economic development is attracting a greater number of businesses traveler's every year with the expectations to find comfortable and affordable hotels in area of their visit. Keeping this view in mind Hotel Mehran owns company has decided to take new steps to achieve this high level of commitment to excellence. It is our endeavor to undertake a lot of change, innovations and further streamline the procedures while maintaining the highest standards of services. We provides complete banquet and conference facilities and support equipment to make that Product Launch with all the necessary a distraction free setting, perfect for top level executives. In addition to our Meeting and Conference rooms, we offer an open banquet space at level 1 for having large banquets functions for Wedding, Birthday or any grand occasion, one to remember. Capacity up to 500 covers. There is variety of packages to offer to suit our guests needs. Kanwal Coffee Shop, our 24-hour Coffee Shop is offering a choice of cuisines to satiate every palate. It offers a choice of sumptuous breakfast, lunch and Dinner buffets as well as a full service A La Carte menu to treat you to traditional Bar-be-que and live music band. A 24 hours business center, at Lobby level, offers secretarial service and support, fax service, computer access with e-mail and internet facilities, courier services and slide preparation and photocopying. Rent-a-car service is available within the premises. If you feel that you might not be well, our house doctor will be available for consultation on call basis. Available at the lobby level lobby level is serving from Monday through Saturday from 0900-2100 Hrs. Available at the lobby level is serving from Monday through Saturday from 0900-1800 Hrs. 182 Air-conditioned, beautifully appointed guest rooms and suites. Each room has its own thermostat temperature control and equipped with color Television with Cable connection, International Direct Dialing Telephone facility and Mini Bar. The Separate executive floor offers the luxurious accommodations with extended facilities and amenities.